Run for a Life – September 12, 2019 | NC Race Timing and Running Events | Go Time! 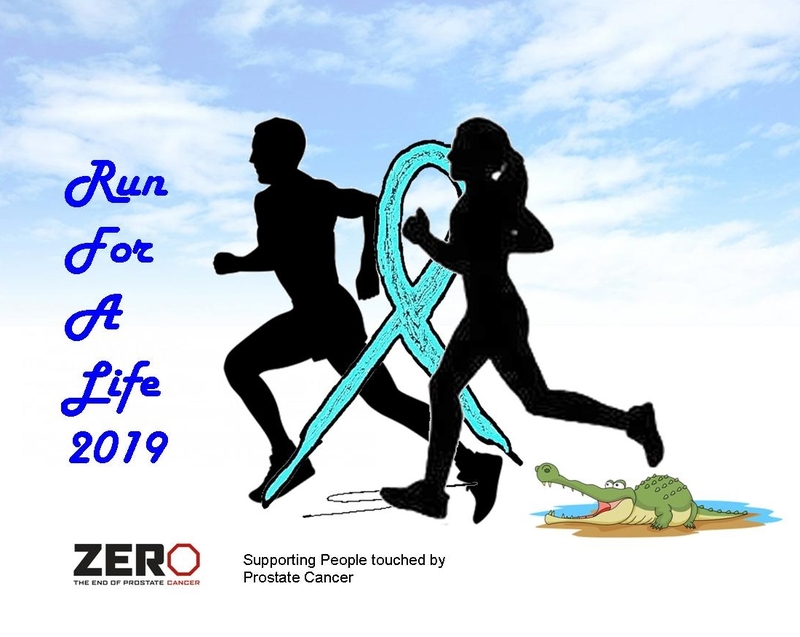 This is a chance to have fun, run, or walk, to support a vision which is called Generation ZERO – the first generation of men free from prostate cancer. You may see some interesting wildlife, including an alligator or two if you are lucky. But, as you walk or run, imagine a future with zero prostate cancer deaths and an end to pain and suffering. Our vision is Generation ZERO – the first generation of men free from prostate cancer, and you will have helped by participating in The Run for a Life. After the race, participants (21+) can bring their race bib to our official beer sponsor, Waterman’s Brewing Company, for FREE beer!!! 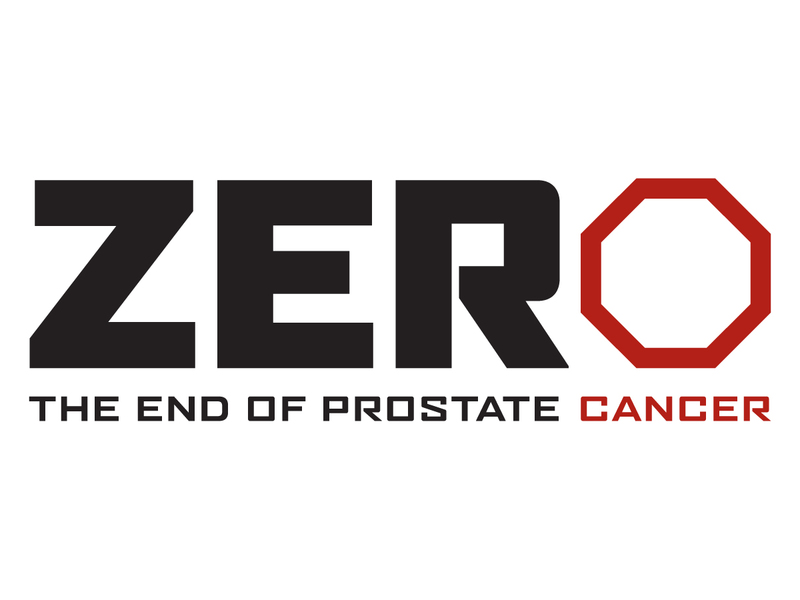 For more than 20 years, ZERO – The End Of Prostate Cancer has helped save lives, support research and new treatments, educate and test men, and unite communities to make prostate cancer a national priority. ZERO is on the front lines investing in patient support programs, research for better diagnostics, and creating awareness. 85% of every dollar collected by ZERO goes to life saving programs and activities. Fleet Feet Wilmington will be providing gift cards for the Awards! Participants who register by 11:59 pm on Sunday, June 30, 2019 will be guaranteed a Race Shirt. The shirts are available in Youth M and Adult Unisex S-XXL sizes. The shirts are made of a Dri-Fit/Sport Tek material and are from Without Limits. 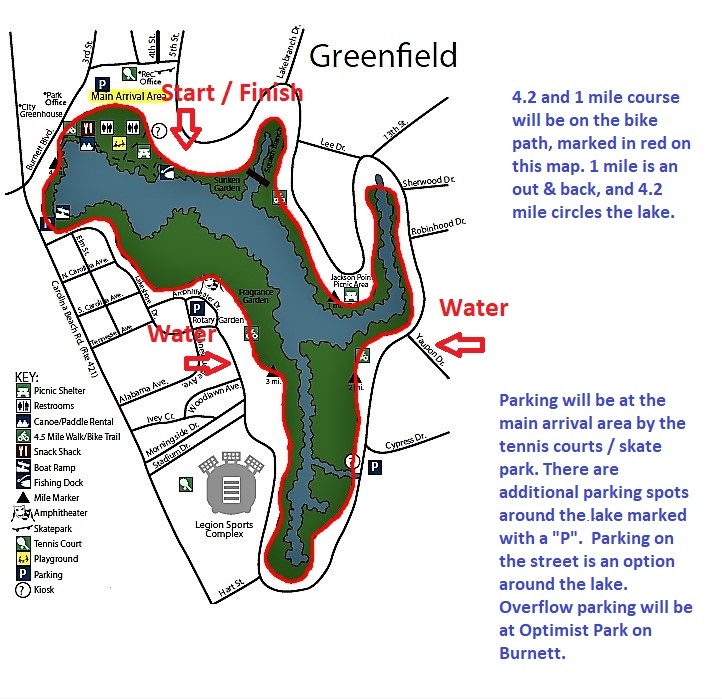 The course will be at Greenfield Lake Park and is an all-flat course, mainly on sidewalks and paved roads. Parking will be available at Greenfield Lake Park & the surrounding area. TOP FUNDRAISER PRIZE: Oak Island Lighthouse Helicopter Ride for 3!